You might be under the impression, having scoured the web for a set of iPod speakers, that anything that’s designed to be a little more than a rectangular unit of plastic and speaker cloth will cost you the contents of your wallet and maybe your whole bank account as well. However, as I have found in the past with products from Edifier, such as the “Sound To Go” Laptop Speakers and Prisma Speakers , the company provides an excellent anomaly to that sometimes infuriating trend. 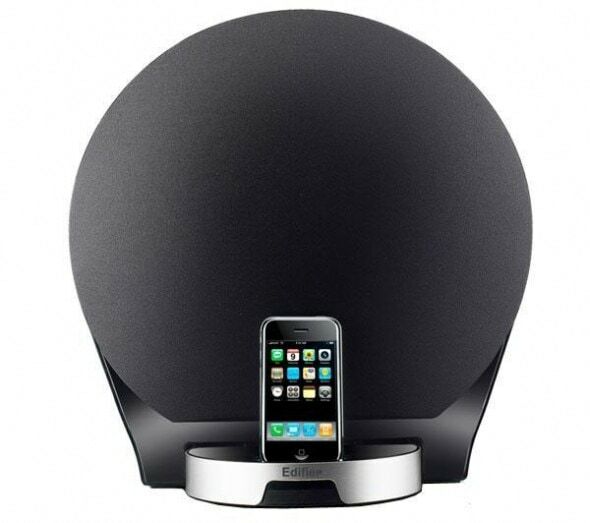 Put quite simply, the Edifier Luna 5 Encore iPod Dock/Speakers the furthest thing from typical for iPod speakers. 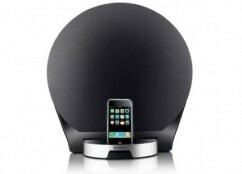 The most striking feature of the speakers is of course, the design. It’s astonishing, and in more ways than one. First of all, it’s massive. Ridiculously so, in fact, but that’s not a bad thing in my eyes, at least. For starters, it allows the driver units inside to be positioned as far apart as possible, giving a great stereo distinction. The second point of note, is that they’re round. As in, a full circle. Like a giant balloon. Really. Having said that, they are not as deep as you might expect having looked from the front, and the relatively shallow back is covered in a glossy black plastic from top to bottom. Overall it gives it a nice contrast to the matte black of the speaker cloth that covers the front, and even more so to the all-metal perimeter of the base, which houses the dock and the touch-sensitive power, volume, input and fast-forward/rewind controls. This is the part where it gets exciting for me. The aforementioned buttons glow red when the speakers are powered on, which must be done via the mains, there is no battery included, though to include one and call them portable would be ludicrous given the size. Anyway, back to the point: the buttons. They glow red. And when you press them, the red brightens on the touched button. Cool, huh? Well, it looks incredible anyway. Internally, the Luna 5 Encore speakers house a single 5.75″ bass driver, rare in a speaker dock that doesn’t cost the earth, and two 2.75″ midrange drivers as wells as a pair of 1″ tweeters. Powering the speakers are a pair of Class-D digital amps, the first being a 30-watt amp dedicated to the bass driver and the other a 22-watt amp for the drivers and the tweeters. Now, with a lot of speaker sets it can be difficult to tell whether one is better than another. On a budget, there is going to be a lot of parity in quality for what you can afford, however with these I found an extremely deep, room-filling sound that caught the attention of every listener. It really is a great sound, and it maintains the quality to a pretty high volume (the digital dial goes up to 50, which is pretty damn loud). There isn’t really a lot more to say, other than it’s good. Very good. As I’ve said before in reviews of budget speakers, the best way to test their quality is to pitt a lossless track against a lossy one and compare the sound. If you can tell the difference, they stack up, and if not, then they’re not worth their salt. Predictably, the Edifier offering excelled, and my ALAC iTunes library was blasted out gloriously. Normally, the remote wouldn’t warrant its own section in a review, but in this instance it needs an extended mention. Once again, fitting a common theme here, it’s enormous. For the remote of an iPod dock, it is quite extraordinary, measuring in at several times as big as my iPod Touch, and over half as tall as the speakers themselves. It’s curved at the bottom, which is strange as it doesn’t rest properly when laid down, meaning it can rock side to side irritatingly for a good 30 seconds after putting it down. This is not a big issue, though, in truth. The button layout is extremely spacious, which begs the question why they [the designers] felt it necessary to make it so big. 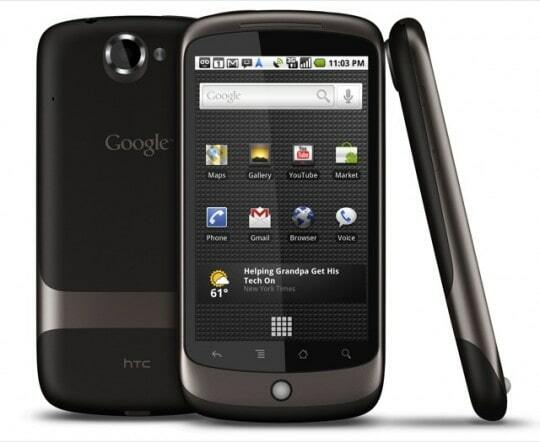 Not to worry, the buttons are pressed easily and have a resistant, rubbery feel. Interestingly, you can navigate your iPod/iPhone from the remote, using menu and directional buttons. This has its issues, though this could be put down to subtle changes in software since the release of the speakers, or just various compatibility issues with different iPods. Unsure on that one, I’m afraid, but sometimes you end up zooming around your iPod not actually finding any music. When I mentioned earlier that there was a button to change the input, you may have wondered exactly what that entailed. Where here goes. The speakers have a built in FM-tuner, meaning you can easily switch to the good ol’ radio frequencies either using the touch-sensitive on-board buttons or on the remote. There is also an input for an external connection, which can be accessed by removing a rubber cover from the very front of the dock. This is a real downfall, it’s an awkward removal and a precarious position for a jack. Hopefully, now that Apple is pushing Airplay so vigorously, we will eventually see a wireless Luna 5 Encore, as the design would be better suited to it, in the same way that the Bowers & Wilkins Zeppelin transitioned to the Zeppelin Air so beautifully last year. With a price tag of just £150 (approx.) on Amazon, the Edifier Luna 5 Encore iPod Dock/Speakers surely have to be a good bet for anyone with the space to put them. They won’t fit on a regular window-sill or ledge, but allocate them a full table and they’ll compliment the room with elegance, and fill it with great sound. Of course, they’re not extraordinary, they are just of substantial build quality, produce a quality sound and look absolutely fantastic. In terms of design, up there with the best of them, and that’s surely enough to make you think again before blowing many more hundreds on an apparently more ‘premium’ set. I have to say, Edifier is really pulling the products out the bag. A lesser known manufacturer than some maybe, but the designs, build quality and sound quality are all right up there with the best of them across a range of products we have tested. Kudos.